Modern sporting rifle (MSR) terminology for the AR is an industry attempt to help define the growing role that AR type rifles have assumed beyond strictly tactical assault rifle. AR rifles are versatile, easily accessorized, and suitable for a wide variety of recreational, sport shooting and professional applications. 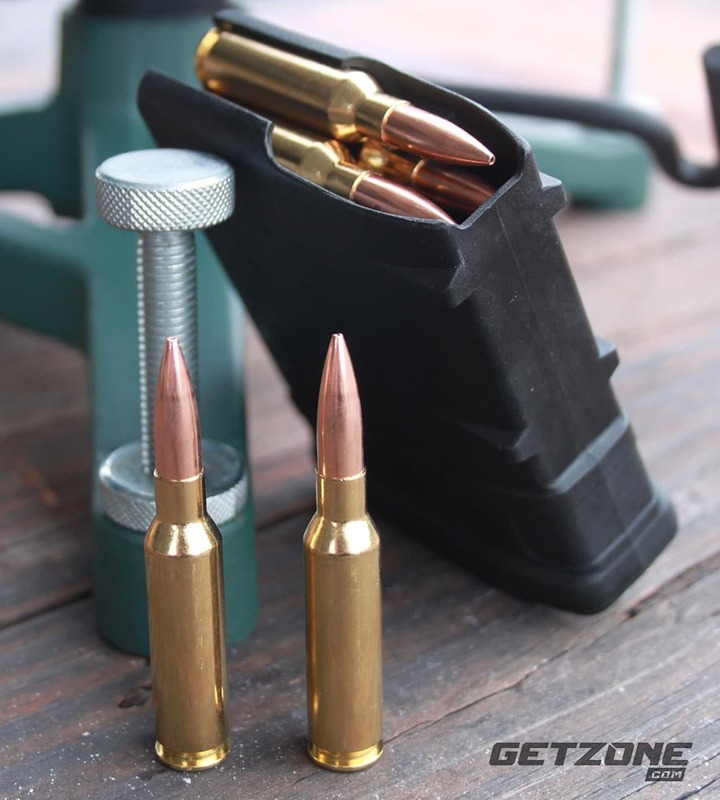 While ARs were quickly embraced for varmint hunting, caliber expansion has steadily grown in popularity with hunters for larger sized game as well. Accuracy potential of a quality AR15 or AR10-type weapon is on par or in some cases exceeds a bolt action. Over the last few years, the AR10 type rifle has evolved into no longer being limited by the capability of the .308 cartridge — it’s most popular chambering. This is all thanks to cartridge development that will now fit into the .308 footprint while still offering a vast improvement in ballistic performance. 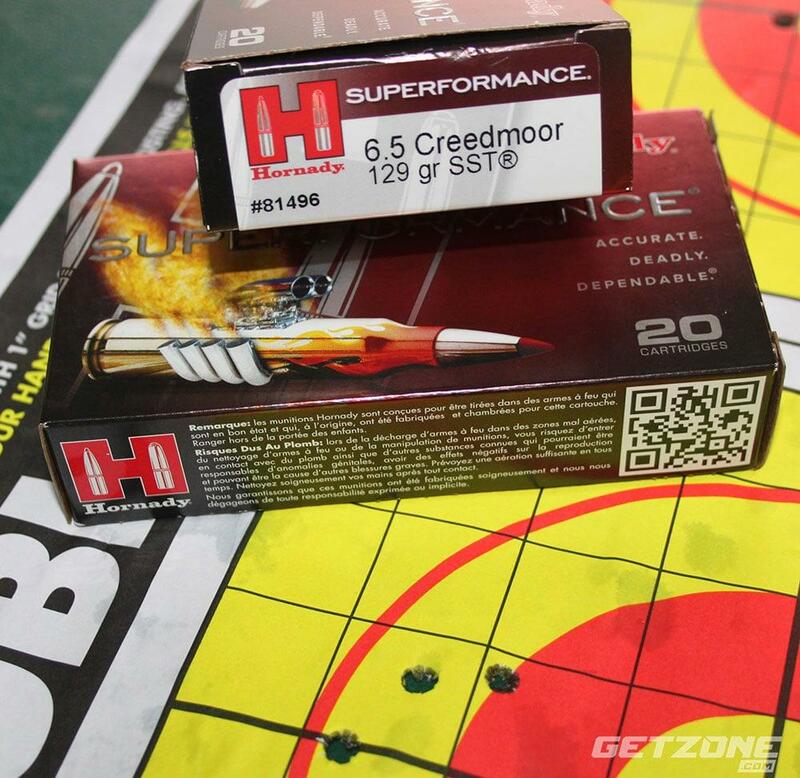 Hornady introduced the 6.5 Creedmoor in 2007 for long-range target shooting applications. The 6.5 Creedmoor typifies the short and efficient cartridge principle. 6.5mm bullets have a reputation for high ballistic coefficient (BC) rating as well as sectional density (SD). SD is the ratio of a bullet’s mass to its cross-section. All things being equal a high SD penetrates better than a low SD. BC is a measurement of how well a bullet moves thru the air. Velocity loss and impact of wind drift is minimized the higher the BC rating as the round travels downrange. The final sweetener is only moderate recoil. 120-140-grain bullets have always attracted hunters/tactical/target shooters. It is hard to beat 130-grains moving at 3,000 feet per second. 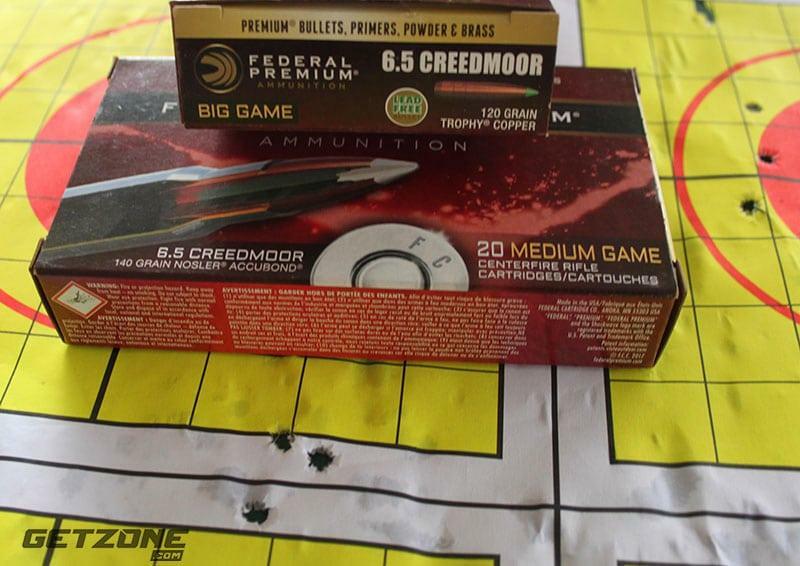 The 6.5 Creedmoor typifies the short and efficient cartridge principle. Savage currently offers two MSR10 model: The Hunter and Long Range. Each rifle is offered in .308 or 6.5 Creedmoor chambering. Tale of the tape leaves no doubt the Savage MSR10 LR (10+ plus lbs. empty) is not your best choice of a walk around stalk style weapon. The Savage MSR10 Hunter would be your candidate for this weighing less than 8 lbs. The Hunter’s 18″ barrel features 1:8RH 5R button rifling. 5R is different from conventional rifling by changing the shape and configuration of the lands and grooves. 5R use 5 lands and grooves versus the more common 4 or 6 land/groove profile. This puts lands opposite of grooves with another tweak being the transition from the top of the land to the groove is sloped. 5R reduces projectile deformation as it passes through the bore during the firing sequence. More uniform projectile means better accuracy. 5R rifling is easier to clean and less prone to accuracy-robbing fouling. All of this is not an abstract theory as 5R rifling has developed a dedicated target shooting following that swears by it. 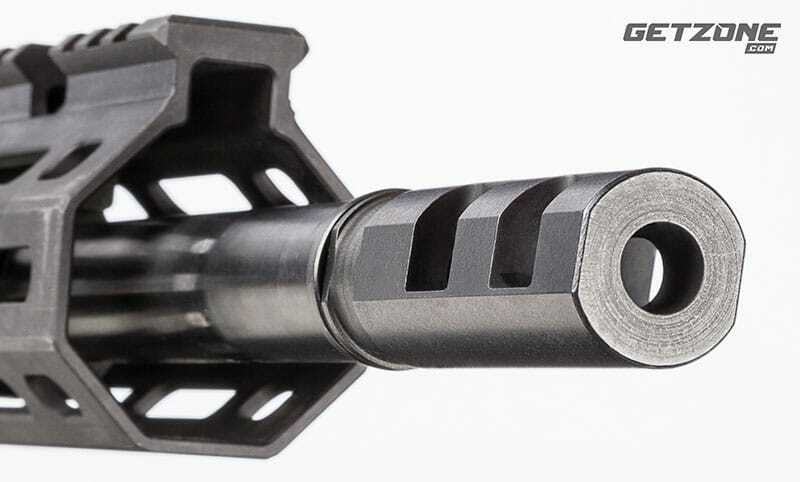 [Photo courtesy Vista Outdoors] Two-port muzzle brake aids in taming any muzzle rise. Savage, a Vista Outdoor company, utilizes sister company BLACKHAWK’s AR Blaze nickel boron trigger as well as Knoxx AR pistol grip. BLACKHAWK adjustable Axiom carbine buttstock and Magpul free-float M-LOK handguard serve as furniture. The wonderful Magpul PMAG 20 LR/SR GEN M3 magazine feeds 6.5 Creedmoor as well as .308 thanks to similar case dimensions. The Magpul PMAG 20 has become the industry standard for AR10 type rifles. Lower capacity Magpul magazines are available if needed to comply with any local regulations. Further tweaks with the Savage MSR10 Hunter is an adjustable direct impingement gas system accessible thru the forend. The MSR10 Hunter is distinguished by custom forged upper/lower receivers that are more compact than standard AR10 configuration. The bolt carrier is also compressed. This is how Savage reduced the MSR10 Hunter’s weight below what is typically associated with AR10 rifles. Exposed metal is coated with a matte black hardcoat after anodizing the aluminum receivers and forend. The barrel interior receives Melonite PQP finish. This is a thermochemical nitrocarburizing process that produces a finish harder than chrome with a lower coefficient of friction providing both long-lasting wear and corrosion resistance. Another Vista Outdoor company was turned to for a suitable optic. A Bushnell Elite Tactical LRTS 3-12×44 optic was mated to the upper receiver rail with 30mm Weaver mount. The LRTS features a G3 reticle with other patterns available based on user preference. The LRTS is not your grandpa’s Bushnell. The Bushnell LRTS can be fitted to the biggest magnum boomers due to constant 3.74″ eye relief. The Bushnell’s tough construction is perfect for recoil resistance due to inertia forces experienced during recoil, especially with semi-autos. Making adjustments is a simple and accurate process, with a lockable windage turret and an elevation turret featuring a RevLimiter Zero Stop that will not turn past zero. 10 MILs per revolution for elevation and windage turrets allow for exact and quick adjustments. The Bushnell LRTS 3-12x is an excellent companion for the 6.5 Creedmoor Savage MSR10 Hunter. Bushnell Elite Tactical LRTS 3-12×44 optic is up to the challenge in wringing out the full potential of 6.5 Creedmoor premium loads and Savage MSR10 Hunter rifle. The Savage MSR10 Hunter was initially sighted in at Echo Valley Training Center’s Range #2. 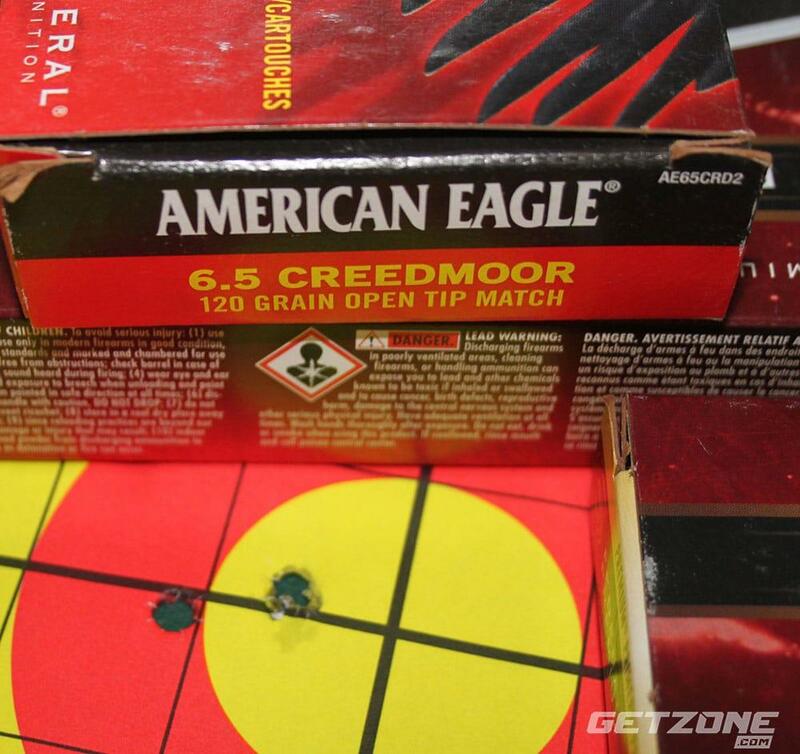 Different 6.5Creedmoor loads were fired from the bench to determine a base accuracy level. Various loads from Hornady and Federal consisted of a mix of hunting and match loads to illustrate the ballistic flexibility inherent in the 6.5 Creedmoor. These specific loads were Federal 120-grain Trophy Copper, Federal 140-grain Nosler Accubond, and 120-grain Match American Eagle. Hornady offerings were represented by 129-grain SST, 140- grain ELD Match, and 120-grain GMX. This is just a small splattering of the 6.5 Creedmoor loads available from each company with other companies offering even more options to choose from. Overall, accuracy was impressive with no load producing groups over 1.25 MOA at 100 yards with some bordering on 5/8″. The EVTC Jungle Walk Range was used to get a sense of handling of the Savage MSR10 Hunter. Targets were set up randomly along the meandering 275-yard range. A shooter had to move down the path until a target was spotted. The Savage MSR10 Hunter was more than manageable in terms of handling when carrying and engaging targets from the standing or kneeling position. 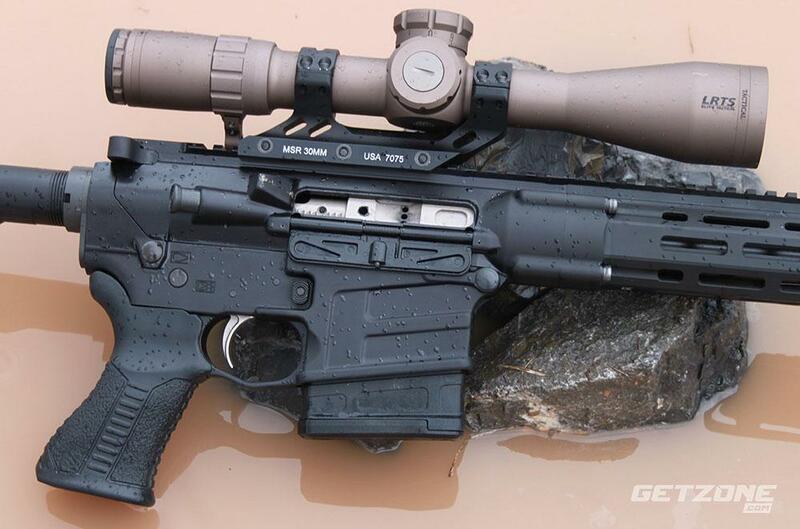 After all, it is an AR, which is renowned for basic ergonomics. Witnessing accuracy from the bench made a visit to the EVTC 600 yard Known Distance Range a must. EVTC is properly set-up to handle extensive test firing of a precision rifle like the Savage MSR10 Hunter. The minimal recoil impulse made spotting your own trace and bullet strike on steel was possible. 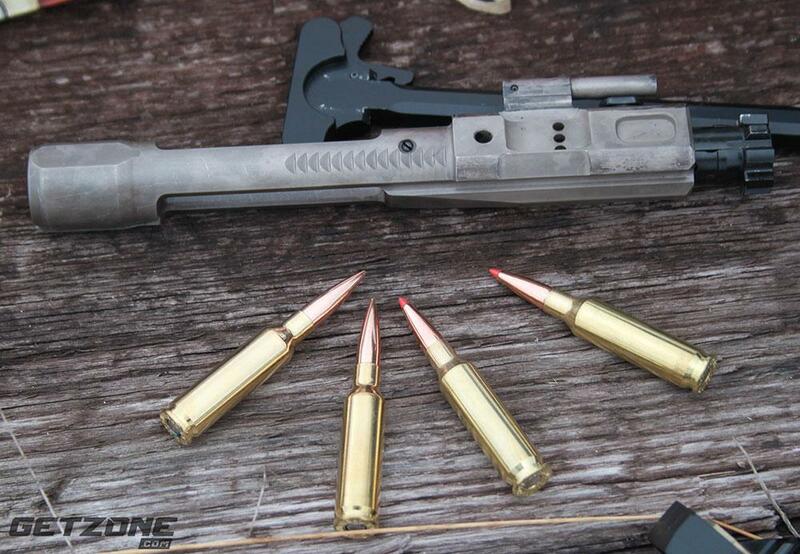 It proved very feasible to rapidly place multiple rounds on 500-yard man-sized steel. At times it seemed a round was still in the air with previous shot making the steel target ring out with impact. Another note of interest was how easy the Bushnell LRTS G3 reticle made hitting targets at distance. The benefit of holding directly on target after dialing in the correct adjustment is obvious. However, the ability to place an appropriate hash mark on target is invaluable if in a hurry or in a target rich environment with opportunities presenting themselves at various distances. The G3 reticle is also a great tool for estimating range to a target. A favorite reactive target has always been the dastardly 4 ½” diameter clay pigeon. A 100-yard zero easily translated into holding the correct hash mark below the main horizontal wire directly on target causing easy hits at 300 and 500 yards. The 6.5 Creedmoor and Savage MSR10 Hunter combine to provide outstanding accuracy. 100-yard groups were harbingers of great long-range accuracy results. Many contend that the 6.5 Creedmoor chambered in an accurate semi-automatic like the MSR10 Hunter is weapon evolution at its finest because of better ballistics, less recoil and down range power delivered. In the same vein, the semi-automatic MSR10 Hunter offers other advantages to the shooter. A rifle like the MSR10 Hunter capable of fast follow-up shot is invaluable. Yes, first round hits are paramount. However, don’t underestimate the importance of fast follow up shots after observing initial impact or if more targets are available. A trained shooter will definitely be able to put to good use the ballistic advantages offered by the 6.5 Creedmoor MSR10 Hunter. Savage decided to up the ante with their AR10-style MSR10 Hunter via cartridge enhancement in the form of the 6.5 Creedmoor. This combines nicely with tweaking of the direct impingement operating method, barrel quality, and receiver. Savage didn’t enter into the AR market without serious forethought and conscious decision to try and separate their MSR (Modern Savage Rifle) ARs from other offerings in a cluttered AR market. The MSR10 Hunter succeeds in this mission.